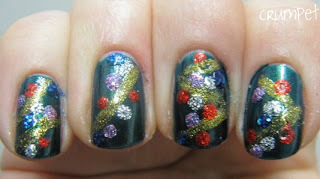 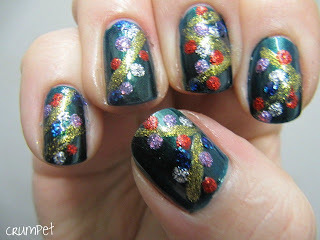 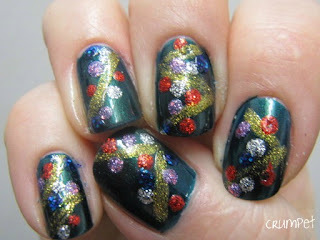 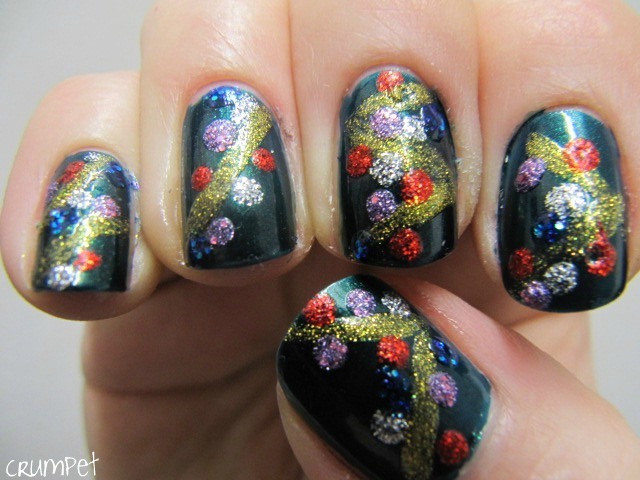 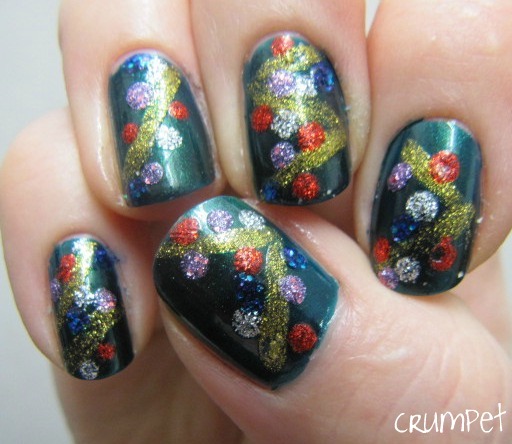 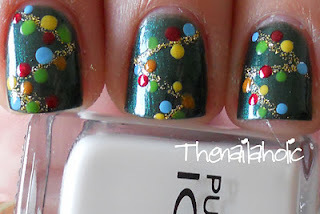 The Crumpet: Christmas Glitterbomb - Day 21 of the Challenge! The blobs / baubles – ooops, I am struggling to remember L CG Cheers to You silver, probably SH Downtown Rubies for the red, Kleancolor Vegas Night for the blue, and shockingly I can’t even remember what the purple is. By the way, have you seen the INSANE Christmas Tree Jane @ Nailside has just done ?? Oh My God! 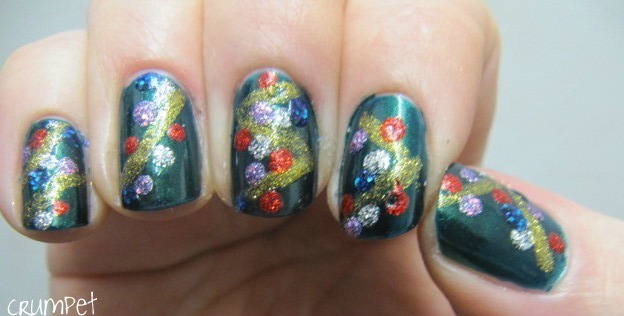 That woman has more talent in her dandruff than I have in all my arty fingers.